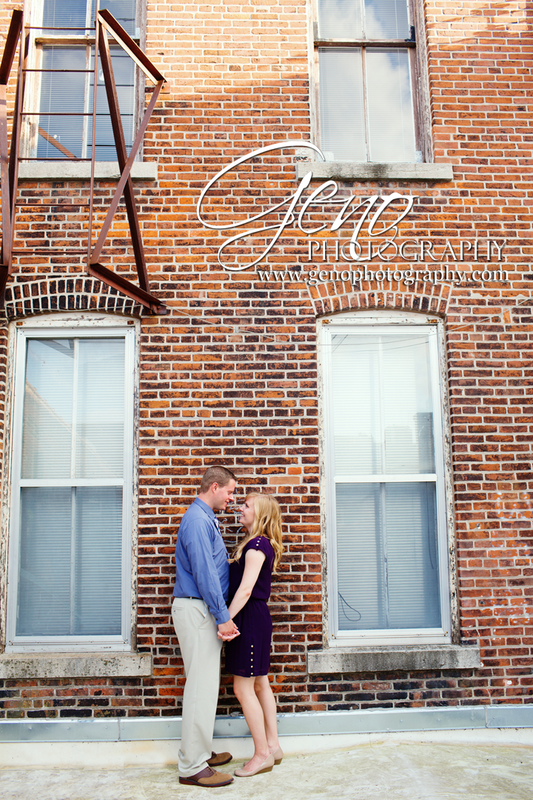 Last weekend, I met up with Sam and Kayla in downtown Iowa City for their engagement session. 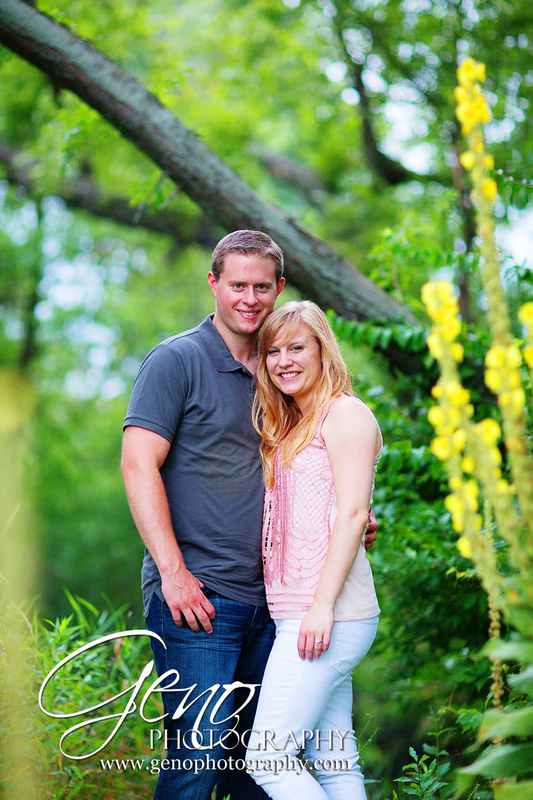 They drove in from their home in Northern Indiana for the session. 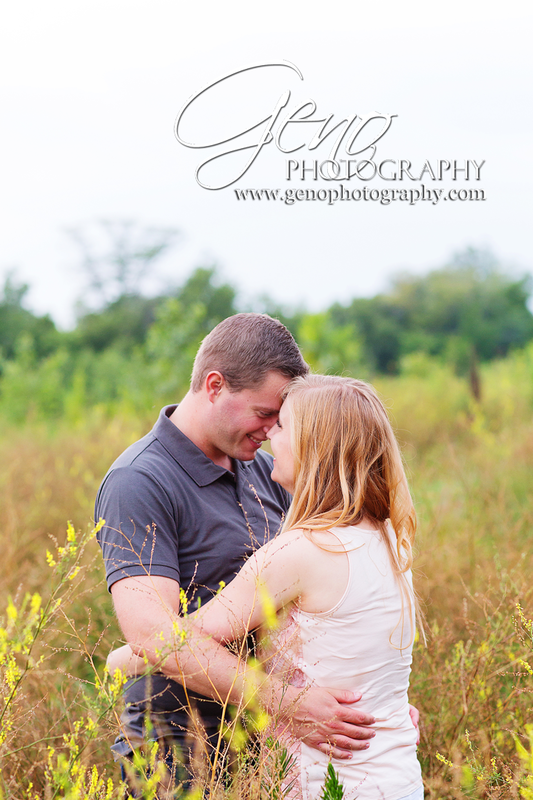 It was so wonderful working with them both and getting to know them better before their wedding this October! 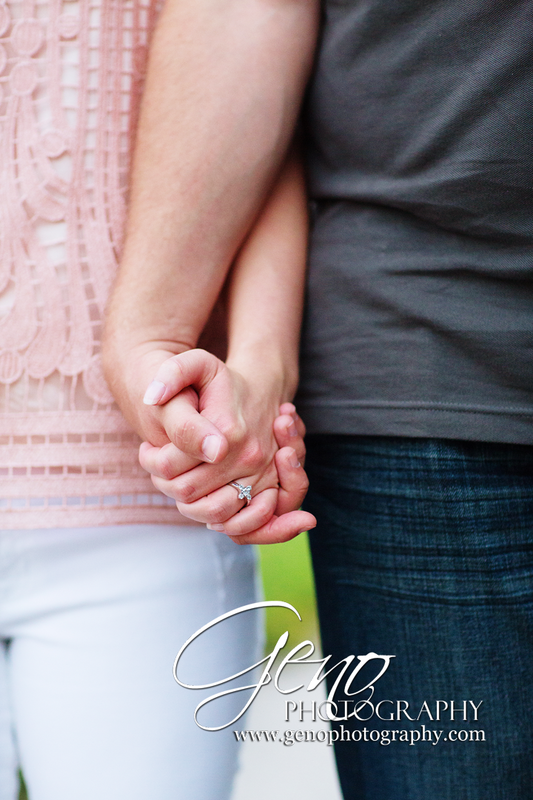 I've said it before, but it's so true, I love engagement sessions! We met up at the Iowa City Public Library and began to walk to the Ped Mall area. I know it seems super weird to say, but most of the sessions I do in the Ped Mall are actually in the alleys. 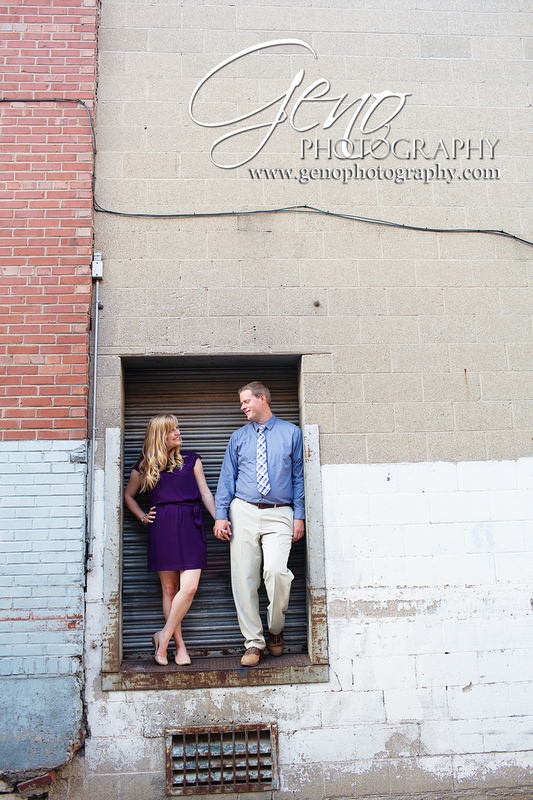 There are some beautiful doorways, interesting walls, and amazing spots tucked away behind or beside the businesses downtown. 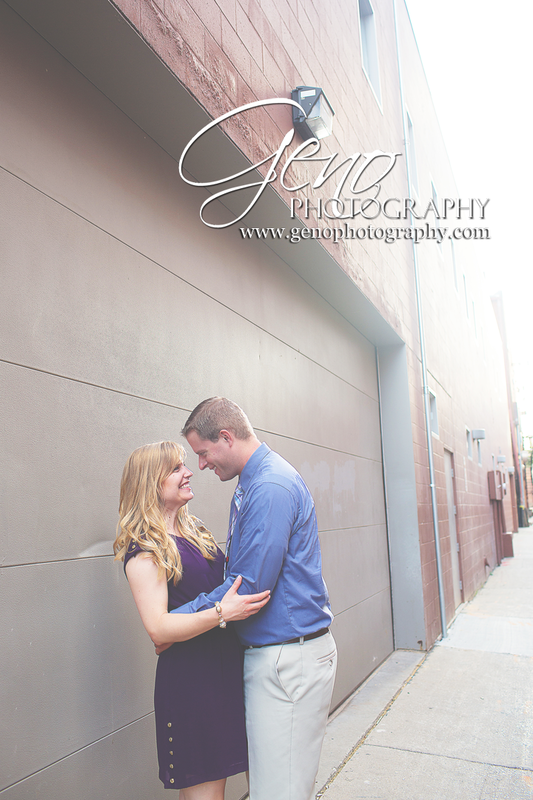 It's so hard to shoot in the main area of the Ped Mall due to the high amount of foot traffic it gets. It's nearly impossible most days to photograph there and not have at least a passer-by or two in the background. 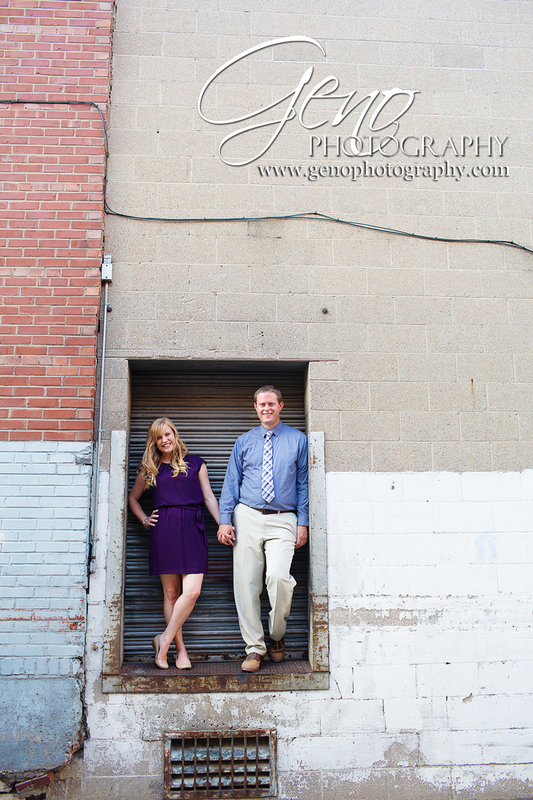 Thankfully, Sam and Kayla were willing to go on my guided tour of the back alleys of Iowa City. 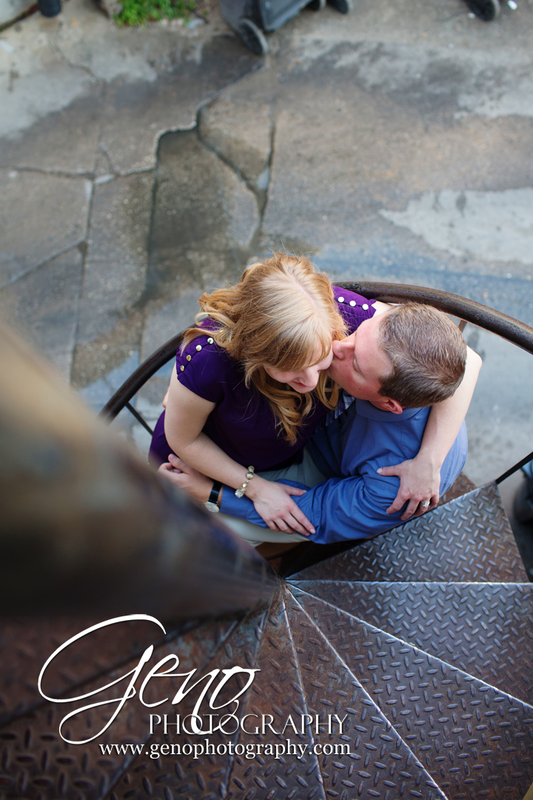 I love, love, love this spiral staircase. The lighting in this alleyway is always great in the evening. 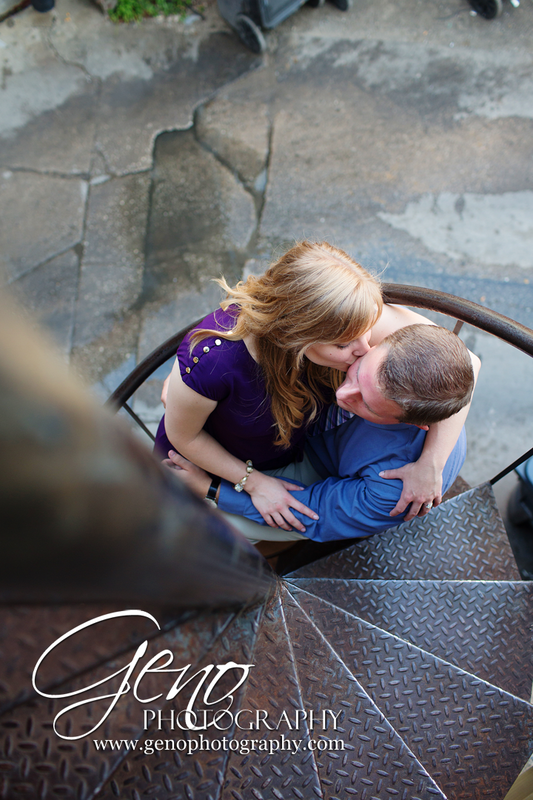 I'm sure I looked a little awkward or crazy hanging off the middle bar of the stairs as I shot down on Sam and Kayla, but it was totally worth it. Another area I love, is a stairway just around the back the alley the spiral staircase is in. Unfortunately, when we were down there a car was parked, blocking it. 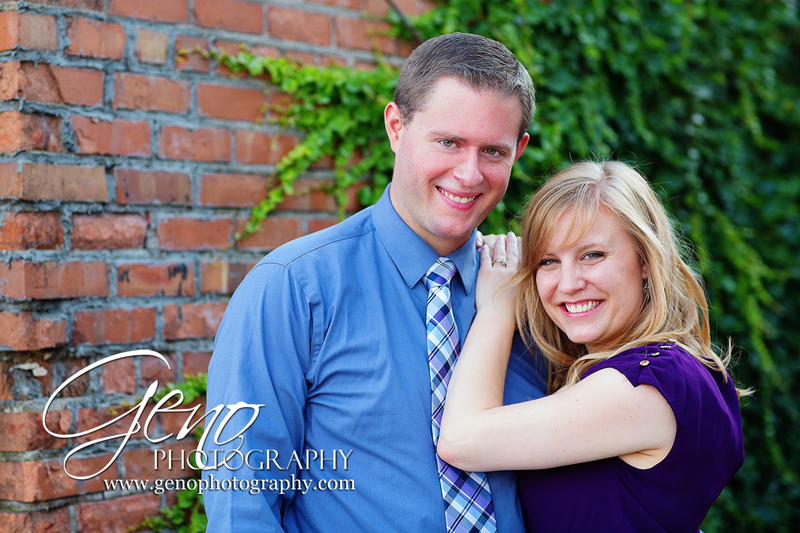 But we were able to get some beautiful shots of them in front of the vine covered brick wall. The colors are so beautiful! After downtown, we headed to the Iowa City Dog Park. I know that sounds strange, but trust me, it is a gorgeous location. To the right of the dog park, is a beautiful prairie field. I love the look of prairies and tall grass in photographs. 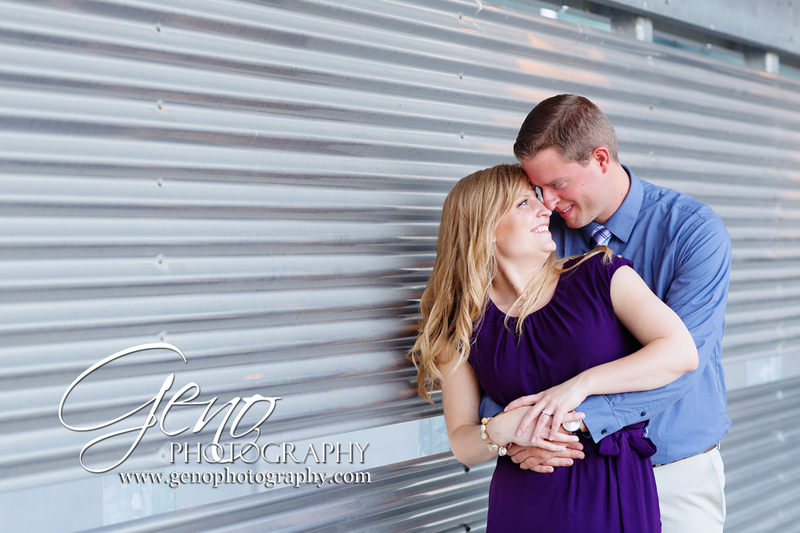 I think they give a beautiful movement and create a soft romantic feel to the setting. In addition to the prairie area, there are woods and a path that leads to the Iowa River Power Restaurant bridge. It is a very large pedestrian bridge with a gorgeous patina. 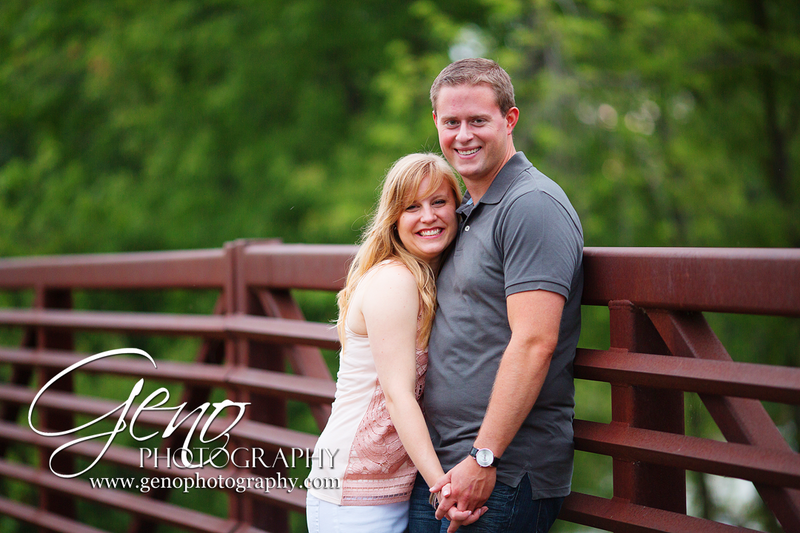 We stopped along our walk to and from the bridge for portraits on the path and by the woods. 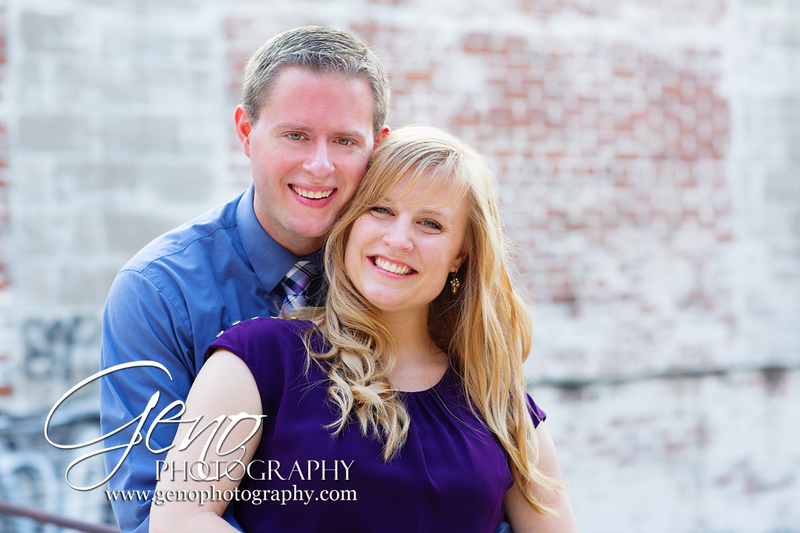 I loved working with Sam and Kayla. They were so relaxed and fun. 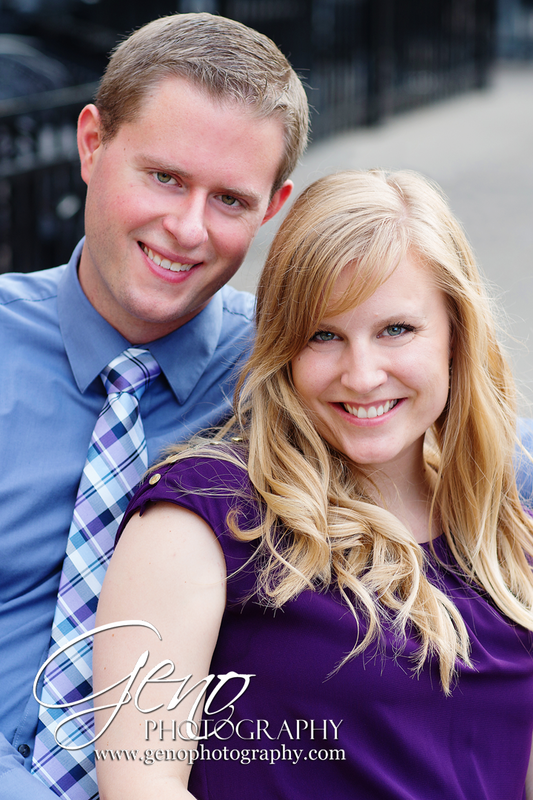 I cannot wait for their October wedding!